Since there are plenty of team and player collector threads, and none for the Mets, I figured let’s start one. Latest can’t miss prospect sucking terribly, post it here…. Team owners claim to be victims of Ponzi scam, yet make money in the process, discuss it here…. Team blows 7 game lead in the division with 17 games left and completely misses playoffs, discuss it here…. Your soon to be HOF Catcher holds a Press Conference to state he is not gay, post it here…. 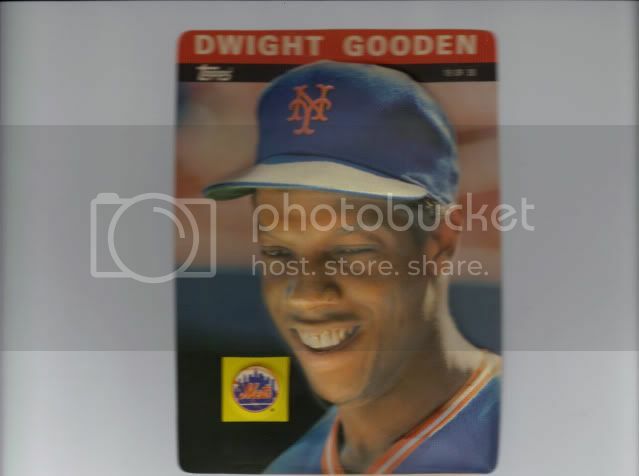 Looking for these mets cards. anyone have them or seen them? Today in Coney Island, Johan Santana spoke with reporters and said he has not yet started his off-season throwing program, nor does he had a date for when it will begin. Before the season ended, Terry Collins told reporters Santana would begin throwing in January. Collins attributed much of Santana’s late-season fatigue to his recovery from shoulder surgery, which he underwent in September 2010. Santana went 6-9 with a 4.85 ERA in 21 starts this season. After his no-hitter on June 1, Santana went 3-7 with a 8.27 ERA over his final ten starts, and averaged just under five innings per start over that span. He lost his last five starts and had a 15.63 ERA in only 19 innings over that span. He was placed on the disabled list and ended his season on August 22 after an MRI showed inflammation in his lower back. When it comes to the Mets, I choose to live in the past. For those that care to see it, the rest is in my bucket. R.A. Dickey has won the 2012 National League Cy Young Award, the Baseball Writers Association of America announced tonight. Dickey received 27 of 32 first place votes. Dickey joins Tom Seaver (1969, 1973, 1975) and Dwight Gooden (1985) among Mets who have now won the award. 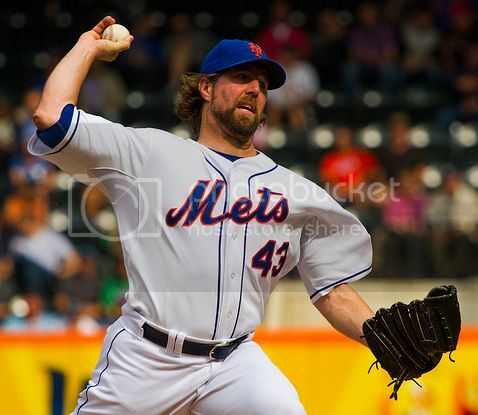 This season, Dickey became the first Mets pitcher with 20 wins in a season since 1990 (when Frank Viola went 20-12). Dickey joined Tom Seaver (1969, 1971, 1972, 1975), Jerry Koosman (1976), Dwight Gooden (1985), David Cone (1988) and Viola as the only Mets to win at least 20 games in a season. Dickey led the National League with 230 strikeouts, 233.2 innings pitched, 27 quality starts, five complete games and three shutouts. He was second in the National League with 20 wins and a 2.73 ERA, while leading the major leagues with 27 quality starts. Last edited by WaxPax; 11-14-2012 at 07:04 PM. Holy crap.......a mets thread! I'm game!